Home Turf: Abboud, a former college football player, installed a strip of artificial turf down the length of the small gym. It gives him more training options. The city’s top dancers are flocking to Sharif Abboud’s Evolve. Sharif Abboud has been a trainer for 14 years, five of those as the Mavs Dancers’ official fitness coach and now with the Dallas Stars Ice Girls and Allen American Ice Angels. He has become such a bulwark among Dallas’ professional dancers that the women use his name as a verb. Abboud now refines these physiques—not just cheerleaders, it should be noted, but all sexes, ages, and fitness levels—in his newly opened gym, Evolve. The 5,500-square-foot gym, on the basement level of downtown’s Butler Brothers Building, includes full-service locker rooms, free valet, a team of fitness pros including Mark Shipman and Charry Morris, and nutritional services courtesy of his wife, Madison. 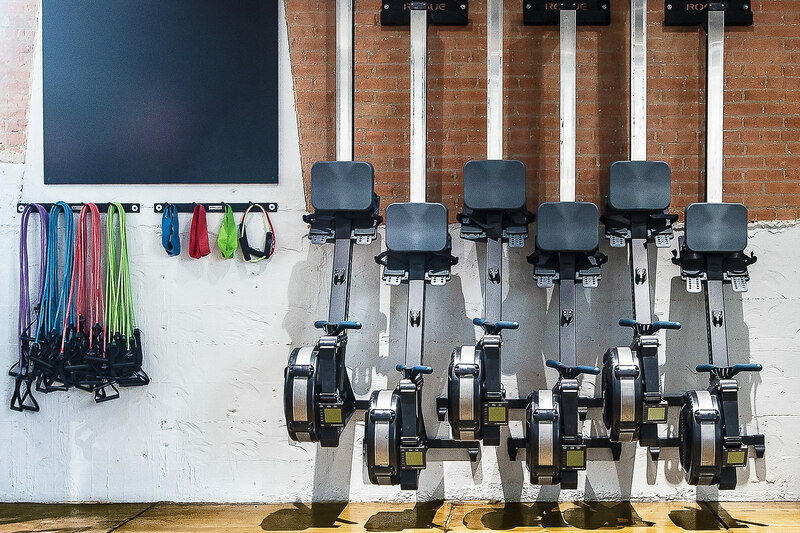 During his class, teams of four cycle through five stations (rowing, running, battling ropes, cable training, and sled pushing, for example) for 45 seconds at a time, with 15 seconds to transition between sets. Abboud pivots in the middle, ringmastering the action beneath thumping speakers. Those who aren’t ready to Sharif, however, are welcome to use the open gym—itself a sight to behold, with an exposed interior, polished concrete floors, and a wide strip of turf running down the length of the space, all of which radiates a distinctly downtown vibe. “I wanted it to feel like you were flipping a tire through the lobby of The Joule,” Abboud says.